Silverfish are insects that are wingless and possess silvery grey scales, usually 13- 25 mm in length with a tapered tail that gives them a fish like appearance. They are very long lived for an insect, typically living between 2 and 8 years. Silverfish are speedy and outrun most of their predators when on a horizontal surface, though on a vertical surface they are somewhat slower. Silverfish have a diet consisting mainly in sugar, proteins and starches found in cellulose products like books, wallpaper, carpet, and some stored pantry goods however are known to eat clothes, leather goods and plaster. If there is not food readily available they can live up to a year without food as long as they have access to water. 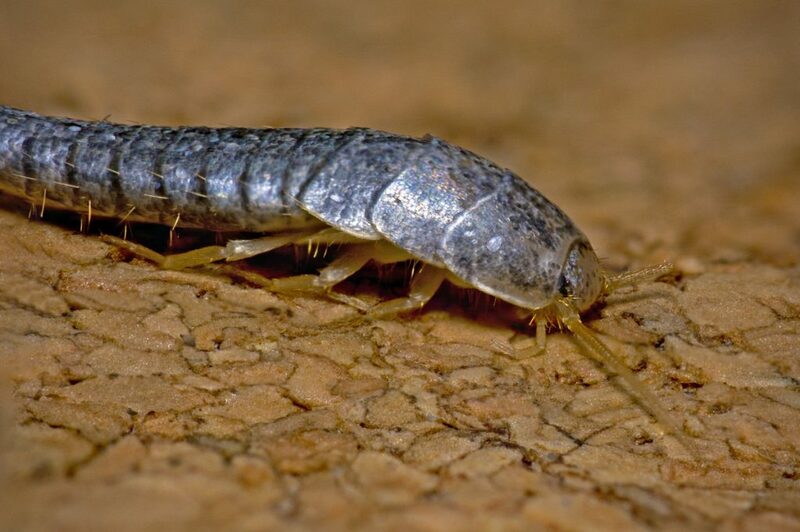 Silverfish are nocturnal in nature and like dark, damp and humid environments like basements avoiding light at all costs so it may be almost impossible to spot a silverfish combined with their ability to hide in very tight nooks and speed they possess. Silverfish reproduce with a strange 3 stage ritual resulting in the female laying fewer than 60, white, oval shaped eggs in crevices which take between 2 weeks and 2 months to hatch. Once they hatch the nymphs are whitish in colour and look identical to the adults in shape, as they mature and moult they begin to develop their silvery grey appearance. If you think you may have a Silverfish problem give ARK Pest Management a call and we can help manage these speedy critters for you. Silverfish are one of the only insects that continue to moult after reaching maturity and may even moult up to 66 times in their life…….they also like to snack on their own shed skin.